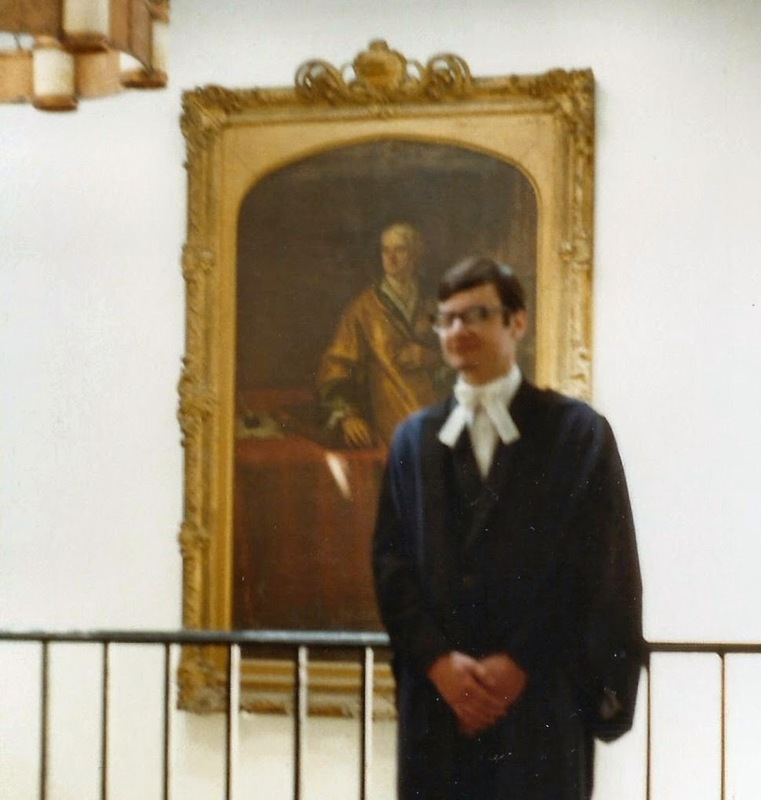 The studious-looking geek in the above photo is me, at the age of 21 in 1979, posing in front of a portrait of Isaac Newton. The picture was taken in Trinity College, Cambridge, at the top of I staircase where I had a room during my third year at university. I staircase is about 200 feet along the east front of Great Court from E staircase, where Newton himself lived for many years (although I staircase, which is a 20th century utilitarian monstrosity, wasn’t there in his time). Along with Einstein, Newton was one of the scientific heroes of my teenage years. I read a biography of him in 1973 (as I’ve mentioned before, I kept a list of all the books I read) and visited his birthplace in Lincolnshire a year or two after that. So I was pleased to end up at Newton’s college, Trinity, even though I had no say in the matter. The school I went to (a comprehensive in the West Midlands, before you ask) had a tradition of trying to get its best science student into that particular college each year. All I needed to do was get three grade As at A-level (I got four, just to be on the safe side). After I graduated (the day that photo was taken – I didn’t always dress like that) I went to Manchester University to do a PhD on the computer simulation of galaxy dynamics. That may sound very modern and state-of-the-art, but the only science involved was 100% Newtonian. In three years I never had to use a single equation that isn’t present, either explicitly or implicitly, in the Philosophiae Naturalis Principia Mathematica that Newton wrote in 1687. So I owe Newton my doctorate, too! Just over a year ago the History Press (which published my first book, Bloody British History: Somerset ) started a new series of short biographies called Pocket Giants. I was intrigued by this idea (as I’ve said before, I like short books) so I contacted the series editor, Tony Morris, to see if there was anything I could do for him. After batting a few ideas around, we eventually zeroed in – perhaps not surprisingly – on Isaac Newton. Tony was as enthusiastic about the project as I was, and with his encouragement and constructive input the proposal was accepted by the History Press, the contract signed and the book written in the space of a few months last year. Despite being a lifelong fan of Newton, I still learned a lot about him while I was researching and writing the book. Perhaps the oddest thing about him – which is more widely known today than it was in the 1970s – is that he spent less time on the scientific work for which he’s remembered than on pursuing non-scientific interests like alchemy, Hermeticism, theology and ancient history. There’s a common tendency to view the scientific and non-scientific (or even anti-scientific, by modern standards) activities as separate and non-overlapping. Scientists see the non-scientific work as an irrelevance and embarrassment that ought to be ignored and forgotten, while mystics and New Agers see the scientific work as the irrelevance – a kind of smoke-screen of acceptability designed to hide Newton’s real achievements. I came to the conclusion that both these views miss the point. Everything Newton did stemmed from the same world-view – the idea that the universe was designed, by God, according to a simple code that could be rediscovered if it was searched for carefully enough. Newton looked for the code in the Bible and other ancient writings, and in the work of alchemists and Hermeticists. But he also looked for mathematical relationships that applied to the material world – something that seemed just as mystical and improbable to his contemporaries. But Newton’s “applied mathematics” worked – and worked so well that it’s become synonymous with mainstream science. Both scientists and New Agers have forgotten, or can’t see, what a profoundly mystical notion it is. This was the point I tried to make in a blog post I wrote last week for the History Press. 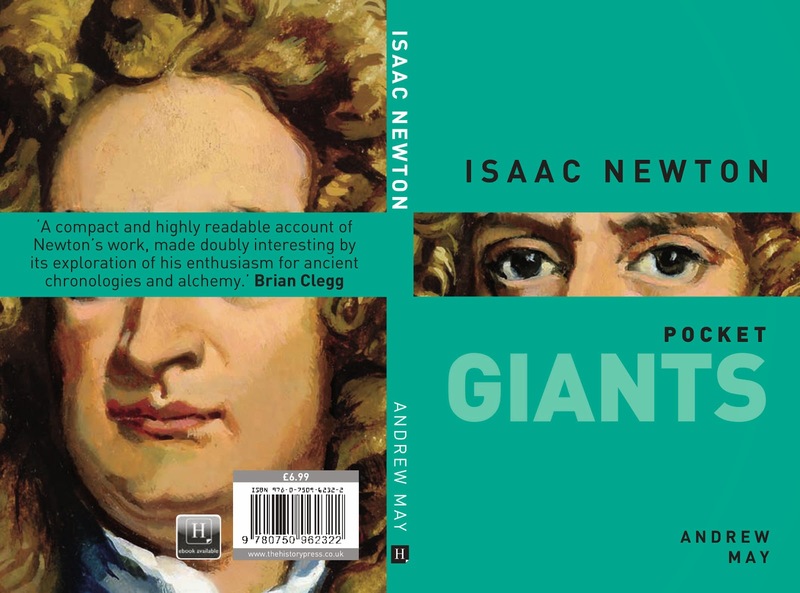 My original title was “Isaac Newton and the Key to the Universe”, which I thought was quite clever, but they wanted to tie it in with the series so they changed it to Why was Isaac Newton such a giant? (It was meant as a rhetorical question, but one clever lady on Twitter replied “Because he stood on the shoulders of giants”). Needless to say, all these ideas are explored in more detail in the book itself, together with lots of other fascinating facts about Newton (such as how he perpetrated a UFO hoax as a teenager, predicted the end of the world and became “17th-Century London’s Dirty Harry”). 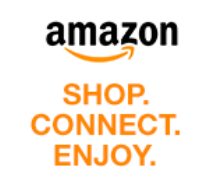 You can order your copy from any good bookseller or from Amazon . No, Kid - I'd forgotten it (if I ever heard it at the time), but having just Googled it I see it's from a 1970s public information clip about safety at work!